Welcome to the Rubaroc September Newsletter! As predicted, things are picking up in September. Purchase orders are coming through steadily & most of our Installers are quite busy. We are currently testing out our sealed systems and will keep you informed as to the progress of these new systems. It’s great to hear that several of you have booked fall home shows. There’s still plenty of time this year to install & it’s not too early to plan for next year. 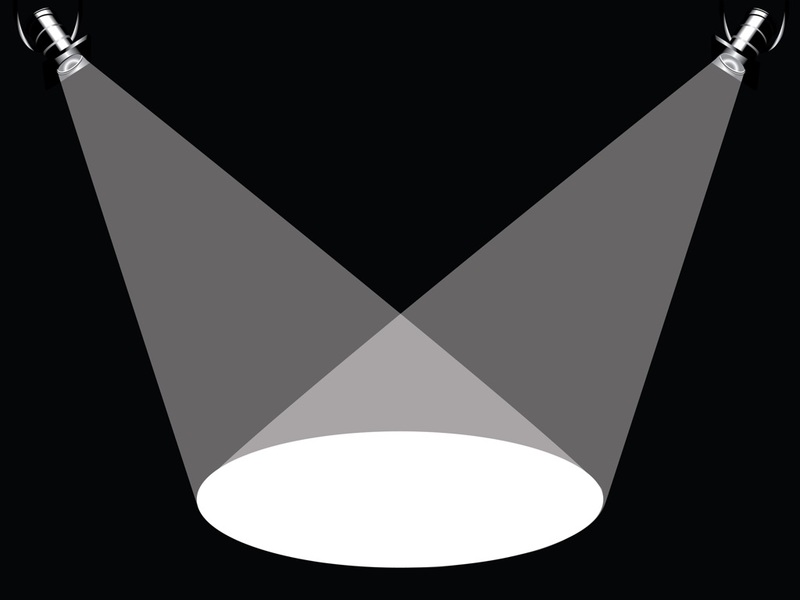 Radio advertisements, flyers & of course newspaper articles are all beneficial. Furthermore, it’s not too early to consider indoor work. Besides Rubaroc we do have Rubaroll, which is quick & easy to install. Keep up the fantastic work guys! It’s always a pleasure to receive emails & phone calls from customers who are thoroughly pleased with their Rubaroc installations. 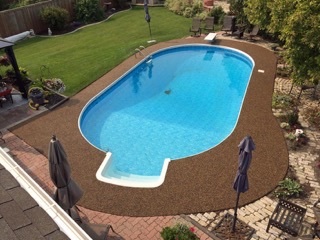 This 3300 sq ft Rubaroc installation was installed by Clinique De Piscine in August 2015 in Laval, Quebec. A combination of flat and vertical work as well as a wheelchair ramp was done over existing stonework. The surface is now safe, comfortable and beautiful! The clients are thoroughly pleased and provided a testimonial to express their gratitude with Rene & Camille's professionalism & quality workmanship! 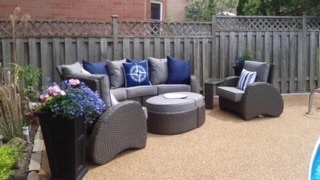 "Our backyard is now safe & beautiful with Rubaroc. Clinique De Piscine were punctual & very pleasant to work with. They delivered on time as promised," says Felicia Gallo of Laval, Quebec. 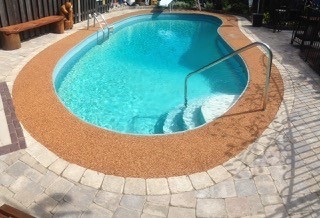 Mark Singer has been installing Rubaroc successfully for the past 2 years. His attention to detail is highly evident. Our recent visit with him on one of his job sites confirmed that he knows exactly what he's doing & strives to ensure that every Rubaroc installation is done to perfection. His strong work ethics ensures that his reputation is as solid as his workmanship. Mark has Rubaroc as an add-on to a very successful landscaping & snow removal company in Toronto, Canada. 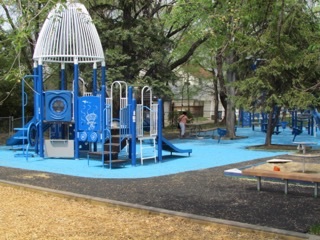 He installs Rubaroc at a steady rate with a variety of unique Rubaroc installations. His website clearly meets our criteria by providing a link to our website www.rubaroc.com & information about Rubaroc. Mark's clients are thoroughly pleased with his installations & so are we! We wish you continued success in your future Mark! Mark added safety to this elegant pool deck! Mark Singer provided "Rubber & Turf" to this unique backyard making it maintenance-free, safe & beautiful! A very unique race track design for a very lucky preschool! As all of you are aware, we have provided you with a very impressive price list. We have generously forwarded the savings that we have received onto you. This has allowed many of you to chase down any outstanding quotes and seal the deal. For others, it’s given you the incentive to market & look for new jobs. Either way, we are ultimately striving to make you benefit from our new price list. 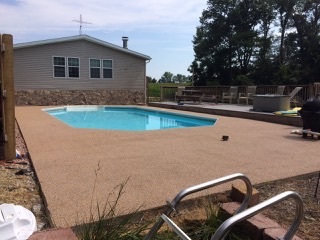 Rubaroc Sealed System (Level 2) – A two-step system starting with the installation of Rubaroc (either Classic, Premium or Paving) on day 1, then the application of a liquid sealer over the installed Rubaroc on day 2 to create a sealed, non-porous finish. 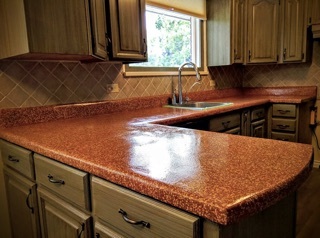 Impressive countertop done by Sam Meakings of Prestige Sufacing in Oakville, Ontario. Although it sounds like it may be, do not use the words waterproof, water-tight or anything like that, that suggests it is suitable as an alternative to a waterproofing product as it is not. For applications where a waterproof or watertight membrane are required, customers should install such products first and then have us install over that. It's not too early to consider indoor work. Besides Rubaroc, we now have Rubaroll which is a very quick, easy & profitable installation. We have recently sent you some information on Rubaroll along with the price list. Please check your inbox or request a copy from your support staff members. Enjoy strolling through our gallery of Rubaroc installations! Once again, thank you to our Installers, mixers & entire crewmembers for your magnificent installations! 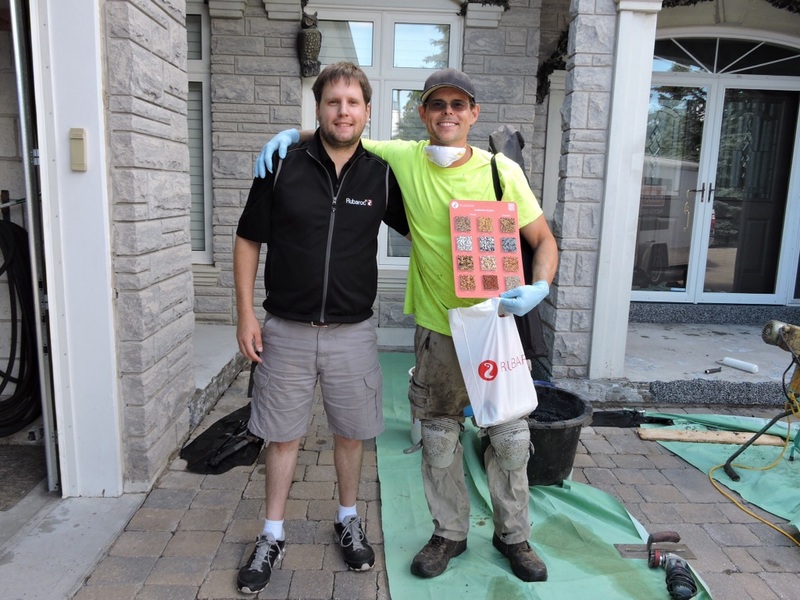 Your hard work, commitment & passion for Rubaroc is highly evident! Hope you enjoyed the September Rubaroc Newsletter!